Hardy, Thomas from Columbia Encyclopedia, 6th ed., 2001-2005. Meet the Writers: Thomas Hardy. Biography from Barnes & Noble. Thomas Hardy. Portrait, 1923. Oil on canvas by Reginald Grenville Eves R.A. (1876-1941). From The Victorian Web. Thomas Hardy. Encyclopedia Article from MSN Encarta. Includes portrait. Thomas Hardy. Resource Library by Mark Simons. Contents: Texts, Biography: Thomas Hardy's Lifeline - A Chronology - 1840-1930, Media, Dorset, Links. "1928: Winter Words is published posthumously: Hardy died on January 11. His ashes are buried in Poet's Corner, Westminster Abbey, and his heart is buried in Emma's grave. The Early Life of Thomas Hardy is published under Florence's name. 1930: The Later Years of Thomas Hardy published under Florence's name. Thomas Hardy from Bibliomania. "He left the rural South West at the age of 22 and travelled to London ... In the metropolis his passion for reading continued but he lived amid the bustle of city life and like many 19th century intellectuals he lost his faith and became an agnostic." Thomas Hardy from Wikipedia, the free encyclopedia. Thomas Hardy (2 June 1840 – 11 January 1928) was a novelist, short story writer, and poet of the naturalist movement, who delineated characters struggling against their passions and circumstances. Contents: Biography, Novels, Poetry, Bibliography, References, External links. Includes photo of Burial site of Thomas Hardy's heart. Thomas Hardy (1840-1928) with portrait, from AppleBookshop.co.uk. 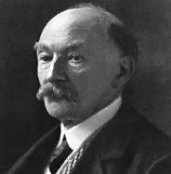 "Born in Higher Bockhampton on the 2nd of June 1840, Thomas Hardy died at Max Gate, his house on the outskirts of Dorchester, on the 11th January 1928." Thomas Hardy (1840-1928) from Pegasos - A Literature Related Resource Site. "English poet and regional novelist, whose works depict the imaginary county "Wessex" (=Dorset). Hardy's career as writer spanned over fifty years." Thomas Hardy: Biographical Information from The Victorian Web. Includes portrait of Thomas Hardy. Contents include: A Chronology of the Life and Works of Thomas Hardy by Philip V. Allingham, Lakehead University, Thunder Bay, Ontario. A Thomas Hardy Gallery (Photographs) -- Places Important in His Life and Writings. Thomas Hardy Biography includes portrait from ClassicReader. Thomas Hardy Biography from BritainExpress. "Hardy was frail as a child, and did not start at the village school until he was eight years old." Thomas Hardy Biography and Works from The Literature Network. "Thomas Hardy (1840-1928), English poet and novelist, famous for his depictions of the imaginary county "Wessex". Hardy's work reflected his stoical pessimism and sense of tragedy in human life." Jude the Obscure from Wikipedia, the free encyclopedia. Last of Thomas Hardy's novels, first published as a novel in 1895. Contents: Reviews, Description, Films, External links. "Called "Jude the Obscene" by at least one reviewer, Jude the Obscure received so harsh a reception from scandalized critics that Hardy stopped writing fiction altogether, producing only poetry and drama for the rest of his life." Jude the Obscure. From The Victorian Web: Chapter Eight: Century's End: "The Coming Universal Wish Not to Live" - Discussion by Barbara T. Gates, Alumni Distinguished Professor of English, University of Delaware. Criticism About Thomas Hardy (1840 - 1928) and Critical Sites About Jude the Obscure from the Internet Public Library, Online Literary Criticism Collection. Hardy, Thomas . Jude the Obscure / by Thomas Hardy. The entire work, and Table of Contents for this work, from Electronic Text Center, University of Virginia Library. Includes links to All on-line databases from this Electronic Text Center. Jude the Obscure. Bibliomania Study Guide. Summary, Part First - At Marygreen (Chapters i to xi), Part Second - At Christminster (Chapters i - vii), Part Third - At Melchester (Chapters i - x), Part Fourth - At Shaston (Chapters i - vi), Part Fifth - At Alkbrickham and Elsewhere (Chapter i - viii), Part Sixth - At Christminster Again (Chapters i - xi). See also Jude the Obscure by Thomas Hardy full text of novel from ClassicReader. Jude the Obscure. SparkNotes Study Guide. Contents: Context, Summary, Characters, Part I: At Marygreen, Part II: At Christminster, Part III: At Melchester, Part IV: At Shaston, Part V: At Aldbrickham and Elsewhere, Part VI: At Christminster Again, Overall Analysis and Themes, Study Questions, Quiz. Jude the Obscure by Thomas Hardy. Complete text online from Project Gutenberg etext. Free download. Note: Not copyrighted in the United States. If you live elsewhere check the laws of your country before downloading this ebook. Jude the Obscure by Thomas Hardy. Summary and full text of the novel online from MasterTexts™ - The Texts of Masterpieces. Jude the Obscure by Thomas Hardy. MonkeyNotes Study Guide edited by Diane Sauder. Contents: Key Literary Elements - Setting, Characters, Conflict, Plot, Themes, Mood, Background Information; Chapter Summaries with Notes, Overall Analysis - Characters, Themes, Plot, Style, Irony, Hardy's Use of Symbols; Study Questions; Comment on the Study of Literature. Jude the Obscure Summary & Essays. eNotes Study Guide. Contents include: Jude the Obscure: Introduction (The Life and Works of Thomas Hardy), List of Characters, Historical Background, One-Page Summary, Summary and Analysis, Quizzes, Suggested Essay Topics, Sample Essay Outlines, Bibliography and Further Reading. Thomas Hardy: Jude the Obscure. Summary by Michael McGoodwin, prepared 1999. Detailed summary. A Hyper-Concordance to the Works of Thomas Hardy. Select Jude the Obscure from list of Hardy's works. From The Victorian Literary Studies Archive: Concordances - Thomas Hardy. Program identifies the concordance lines as well as the words occurring to the left and the right of the word or phrase searched. Also reports the total number of text lines, the total word count and the number of occurrences of the word or phrase searched. The full text of the book is displayed in a box at the bottom of the screen. Each line of the text is numbered, and the line number and the term(s) searched provide a link to the full text. Right click on hypertext, open in new window to view full text. From Library Journal: "Jude the Obscure created storms of scandal and protest for the author upon its publication. Hardy, disgusted and disappointed, devoted the remainder of his life to poetry and never wrote another novel. Today, the material is far less shocking ... Hardy's characters have a fascinating ambiguity: they are victimized by a stern moral code, but they are also selfish and weak-willed creatures who bring on much of their own difficulties through their own vacillations and submissions to impulse." From AudioFile: "Author Thomas Hardy espoused Shakespeare's dictum (from King Lear): 'As flies to wanton boys are we to the gods; they kill us for their sport.' He particularly exhibits this pessimism in Jude the Obscure, his tragedy about Jude Fawley, a stonemason torn by ambitions both intellectual and carnal ..."
From The Merriam-Webster Encyclopedia of Literature: "... published in book form in 1895. Hardy's last work of fiction, Jude the Obscure is also one of his most gloomily fatalistic, depicting the lives of individuals who are trapped by forces beyond their control." Book Review: Jude the Obscure by Thomas Hardy from Chapters.indigo.ca community readers. Book Review: Jude the Obscure from Jandy's Reading Room. "I had forgotten how much I can dislike a book and still say it is a wonderful novel ... This book scandalized England when it was first published in 1896. After reading it I understand why it did. The content would not now scandalize, but the characters are still pitiful. It's a wonderful character study on how people know what they want but cannot obtain their desires through their own actions." Code the Obscure: About Thomas Hardy by Andrew Oram, editor at O'Reilly Media, a book publisher and technology information provider. Under Hardy’s concerns and its relation to today’s conflicts - "While Hardy offers many pleasures, including a superbly evocative style and a grand sense of tragicomic irony, what I find most relevant today are his protests over what was wrong in the society of his time: the harsh and unjust life led by the poor, the oppression of women, and ... the generally stultifying conformity of Victorian morality." Under The Victorian Hardy and the modern Hardy - "In Jude the Obscure Hardy ... places the causes of events squarely on the psychological motives and counter-motives of his characters." Under Why do Julian and Sharon have such a hard time? - "There is no doubt that social forces barred Jude from his youthful goal, which was to get into Oxford University. The opportunities for poor people to enter a university were, in fact, increasingly restricted during the 19th century in England." Jude the Obscure (Bantam Classics) by Thomas Hardy: Synopses & Reviews. "In 1895 Hardy's final novel, the great tale of Jude The Obscure, sent shockwaves of indignation rolling across Victorian England ... The stonemason Jude Fawley is a dreamer; his is a tragedy of unfulfilled aims ... The most powerful expression of Hardy's philosophy, and a profound exploration of man's essential loneliness, Jude The Obscure is a great and beautiful book." From Powell's Books. Jude the Obscure …being the book that outraged conventional pieties. Review by Macdonald Daly, from New Internationalist magazine on-line. (Scroll down the page to Classic to read review). "The publication of Thomas Hardy’s Jude the Obscure in 1895 caused something of a scandal. One of the novel’s two main themes, that of misery in marriage, was widely regarded as blasphemous ... Hardy later wrote that the novel’s message was simply ‘that marriage should be dissolvable as soon as it becomes a cruelty so either of the parties - being then essentially and morally no marriage’, but this did not prevent Blackwood’s Magazine depicting him as a devilish apostle of free love. The New York Bookman called it ‘simply one of the most objectionable books that we have ever read in any language whatsoever’ ..."
Jude the Obscure by Thomas Hardy. Review of audiobook, a Sam West Audio Performance. "Jude emerges as an entirely complex character, a man poorly suited for the life he was born into, and therefore bound for tragedy as are most such in a rigid class-ordered society." From the Scriptorium of Sam West. Jude the Obscure (Modern Library Classics) by Thomas Hardy: Synopses & Reviews. "Rich in symbolism, Jude the Obscure is the story of Jude Fawley and his struggle to rise from his station as a poor Wessex stonemason to that of a scholar at Christminster." From Powell's Books. Jude the Obscure - Thomas Hardy. Reviewed by Paul L. "This novel was one of the most distressing pieces of work I have ever read ... What grips me the most is Hardy's depiction of 'love' ... Hardy shows how forlorn Romanticism is in a Victorian age." From ReadLiterature.com. Jude the Obscure - Thomas Hardy - Review - A controversial and enthralling read. Review by drewish. "The book completely fails to live up to the expectations of the Victorian novel, and as such it was revolutionary ... This book was ahead of its time, and it still has the power to shock. It is not surprising that it was so derided ... The story is one of failed ambition, rejection and disillusionment. Cheery stuff! ... This is an uncompromising novel, with great characterisation. Hardy draws the reader skilfully into his world and makes you care about the protagonists. It is all the harder, therefore, to take the bitter truth that life is unfair and harsh. A brilliant book." From Ciao.co.uk. Jude the Obscure - Thomas Hardy - Review - The pessimism of tragic circumstances. Review by Alex Mayer. "The suicide of Father Time and his murder of the other children was however too much for me - so gruesome as to seem unreal. Normally I defend Hardy strongly on the grounds that pessimism is realism but here I cannot. Overall though I enjoyed the novel very much." From Ciao.co.uk. The Modernity of Hardy's Jude the Obscure by Robert C Schweik, Ph.D., Professor of English. "But if the influence of Hardy's Jude on the history of the novel is unquestionable, its 'modernity' has been sharply disputed." Please Don't Bother to Entertain Me. Blog posted by Aaron Hamburger. "... After finishing the first few chapters, I noticed the experience I was having was much different from the one to which I'd become accustomed when reading fiction, watching movies, looking at art, even riding in the subway. At first I couldn't put my finger on what was so strange about the book. Then it hit me. I wasn't being entertained. ... Jude the Obscure is not so much a slice of life as it is a slice out of life. Its mix of Biblical references and antiquated rustic slang can sometimes be impenetrable; the characters' hemming and hawing can be infuriating; the bleakness of their world is overpowering. As readers, we don't know quite what to make of Hardy's vision. ..."
Review Summary of Jude the Obscure. Brief review summaries by Bryn Pearson and Katie Williams, Resident Scholars. Sue and Arabella: Review of Jude the Obscure - Thomas Hardy by Elizabeth Hardwick. "Sue and Arabella, in Hardy's Jude the Obscure, are like a Pre-Raphaelite painting of Sacred and Profane Love. There they stand - assuming the absent man, the abashed, overwhelmed Jude." From New York Review of Books. The Two Hardys. Book review by John Bayley. "Hardy at one time seemed the very spirit of subversion and pessimism, the author whose last novel, Jude the Obscure, was burned by a bishop - in despair 'presumably' - as Hardy observed - 'at not being able to burn me.' " From New York Review of Books. Thomas Hardy Lesson plans and teaching ideas @Web English Teacher. Thomas Hardy, Jude the Obscure (1894-95) - Questions for analysis and discussion. The Brown House Barn. "The Brown House, known locally as the Red House, is situated on the road to Great Fawley, the Marygreen of the novel, about five miles south of Wantage, the Alfredston of Jude, in Berkshire. From the roof of this 'weather-beaten old barn' Jude was able to see in the sky to the northward the halo of light which hung over Christminster, the fictitious name for Oxford, the city of his dreams." From The Victorian Web. Cottage at Cresscombe. "This cottage was the model for the description of the home of Arabella Don, and here Jude first met her." From The Victorian Web. Jude (1996 Film) - What's Obscure Is Society In a New Tale of Jude. Review of the 1996 film by Lawrence Van Gelder. (Must register with New York Times to read review. Free registration.) "... in 'Jude,' directed by Michael Winterbottom from a screenplay by Hossein Amini ... , the role of society has been shrunk. From this imbalance emerges not a great tragedy but a tale of doomed romance ... with Christopher Eccleston as Jude and Kate Winslet ... as his great love, Sue Bridehead, and with convincing evocations of 19th-century England from locations in Edinburgh and the north of England, 'Jude' remains a handsome if gravely flawed film ... 'Jude' is rated R (Under 17 requires accompanying parent or adult guardian.)" Jude the Obscure. (1971 Movie, VHS) "This six-episode British TV adaptation of the classic Thomas Hardy novel finds Robert Powell as the title character, whose aspirations toward the priesthood are undone by his love for the licentious Sue Bridehead played by Fiona Walker." Rating: NR (Not Rated), Directed by: Hugh David. Jude the Obscure (1971). (1971 Movie, VHS) Film details from Reel.com. Starring: Robert Powell, Daphne Heard. Director: Hugh David. Synopsis: This adaptation of Thomas Hardy's novel explores a poor man's constantly stymied attempts at gaining love and better social station. Runtime: 262 minutes. MPAA Rating: Not Rated. Marygreen Church. "This is the new church at Great Fawley, the Marygreen of the novel, where Phillotson and Sue were remarried after she had parted from Jude." From The Victorian Web. Old Grove's Place, Shaston. "Old Grove's Place, the residence of Phillotson and Sue after their marriage, is just beyond Bimport Street, Shaftesbury, near where the roads branch off to Motcombe and East Stower." From The Victorian Web. On the farther side of the stream three women were kneeling by William Hatherell. Illustration (December 1894) for Thomas Hardy's The Simpletons later republished in book form as Jude the Obscure. Hatherall's illustrations with commentaries. From The Victorian Web. Burden of Time - in PDF, 9 pages. Essay by Ayaka Komiya complete with Footnotes and Works Cited page. Jude the Obscure. Essay written for English 12 Advanced Placement by Joline Baylis. See also an excellent Outline for this essay on Jude the Obscure: I. Introduction, II. Sympathy, III. Laughing With The Character, IV. Conclusion. Jude the Obscure and Victorian Attitudes toward Suicide. Jude the Obscure (1895): "After the disappointment of his bitter and foolish first marriage, Jude hears of his mother's suicide by drowning and tries to imitate her. Stepping onto a large frozen pond, he jumps up and down on the ice, trying to crack it and plunge to a frigid death. When the ice refuses to yield, he wonders why he has been spared." 'Romanticism' in Jude the Obscure by Holly Davis, University of Otago, Department of English. Excerpt from MA thesis: Hardy and the Romantics. Images of Dorset. Photographs from stock library of landscape and lifestyle photography themed on the Dorset region, UK. Site owned and managed by John and Katharine Allen. Jude the Obscure by Thomas Hardy. Hypertext Meanings and Commentaries from the Encyclopedia of the Self. See also Classical Authors Directory: H Authors: Thomas Hardy - Forum and Classical Authors Index. Portraits, biographies and pictures of 460 classic authors. 1258 online books of classical literature extensively enhanced with 2,510,227 annotations from the Encyclopedia of the Self. Recent Forum Posts on Jude the Obscure. Posted on the Literature Network: Topics include Marriage, English / History - "One must be alert to the word obscure when reading 'Jude'. What is obscure about him, what is there to be obscure about?" "Why the last novel? The depressing nature of Jude is surely a reflection of Hardy's own attitude at the time of writing it. It expresses a negative view of marriage, ambition, the church and the education system, all of which are part of Jude's dream that eventually becomes Jude's nightmare." Thomas Hardy and West Country Literature Tours from Redcliff Study Centre. Calling all Thomas Hardy devotees to consider a course on Literature lasting from 2 days to 2 weeks, to visit and actually walk the sites linked to his novels, poems, short stories and life.